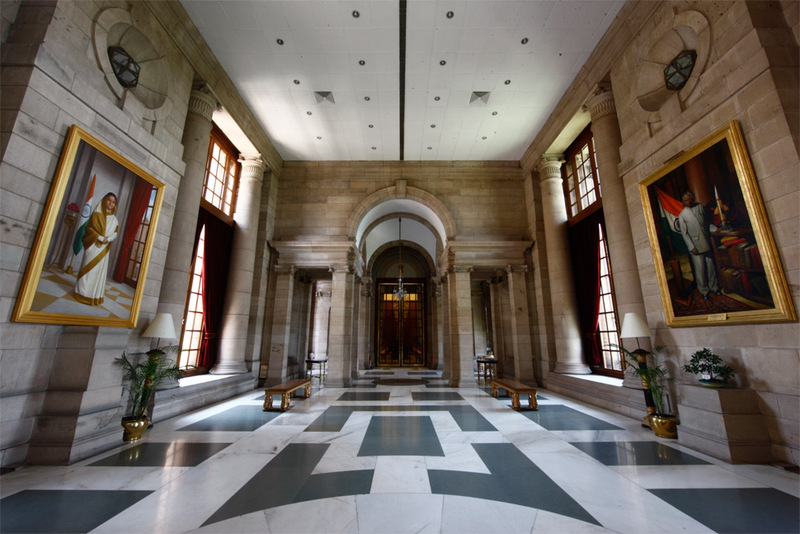 Upper Loggia, erstwhile known as the West Garden Loggia, lies between the Banquet Hall and the Ashok Hall, overlooking the Grand Staircase on one side and the Mughal Gardens on the other. 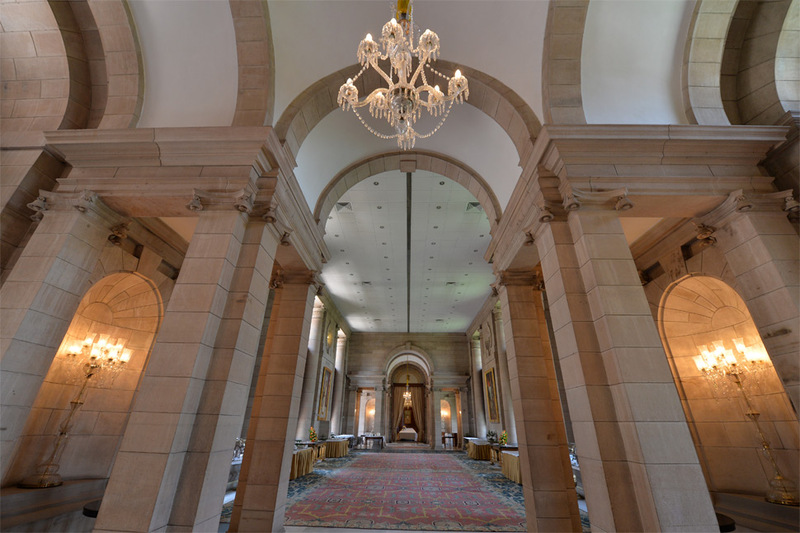 This room is used mostly as a space to serve tea and refreshments after functions that are hosted in the Durbar Hall. Life size portraits of former Presidents Dr. A.P.J. Abdul Kalam and Smt. 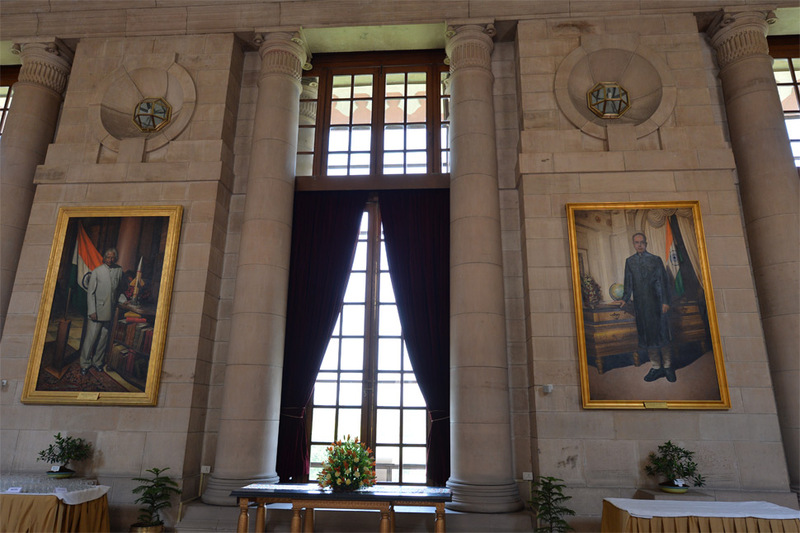 Pratibha Patil are displayed on the walls of the loggia. 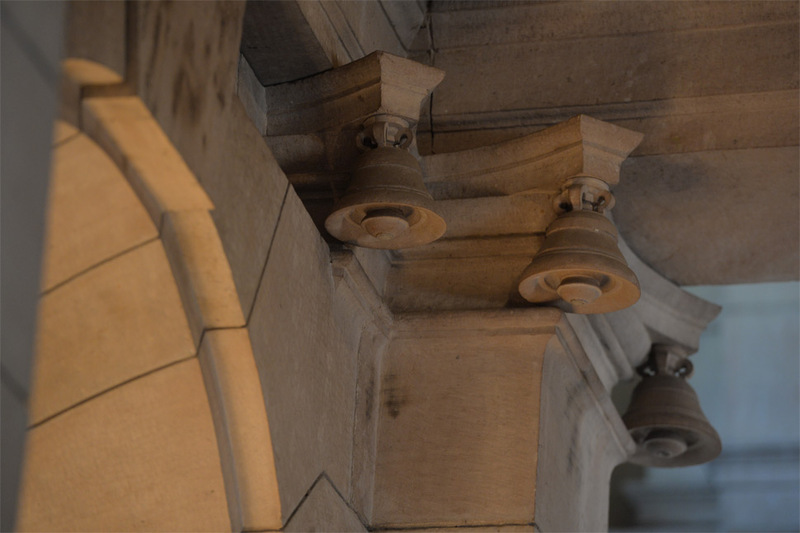 One cannot fail to notice the reappearance of the bell motifs of Lutyens’ Delhi Order above the pillars of the loggia. An exotic view of the Mughal Gardens from the windows adds to the charm of this space.